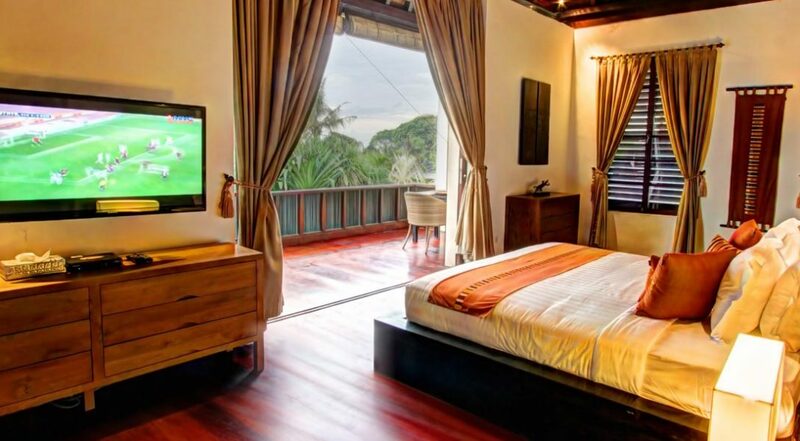 From $ 1,058AUD per night We have direct contracts with most villa owners. We don't add any booking fees. We are 100% transparent with no nasty surprises. 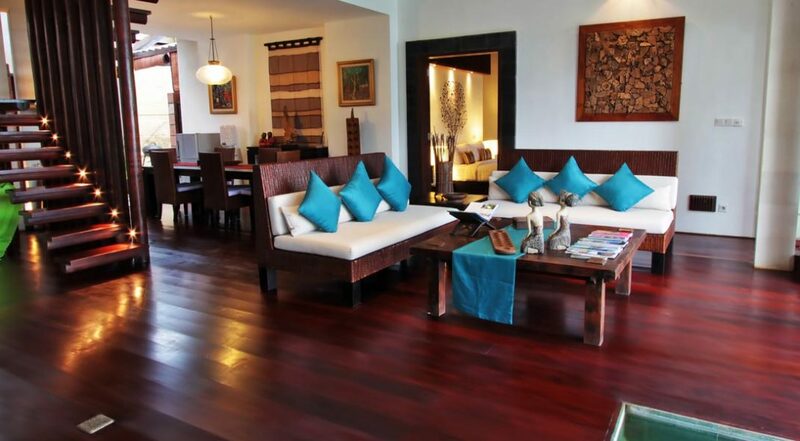 Luxurious beachfront holiday villa - rent this today! 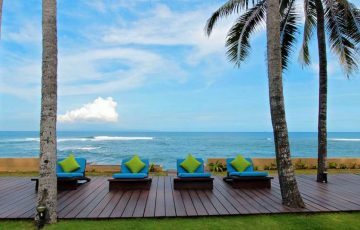 A picture perfect 3 bedroom Sanur beach front villa holiday rental situated just passed the very popular seaside tourist enclave of Sanur, Villa Samudra boasts fantastic ocean views across to the majestic Mt. Agung. 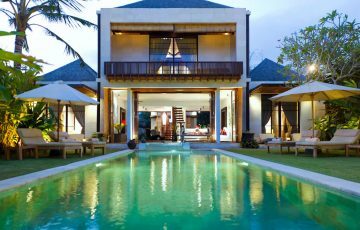 Built over 2 storey’s, guests will enjoy contemporary design and the best of modern amenities all set in a quiet Balinese village, offering peace and serenity amid rural surrounds. Rent this today, you will love every moment here. 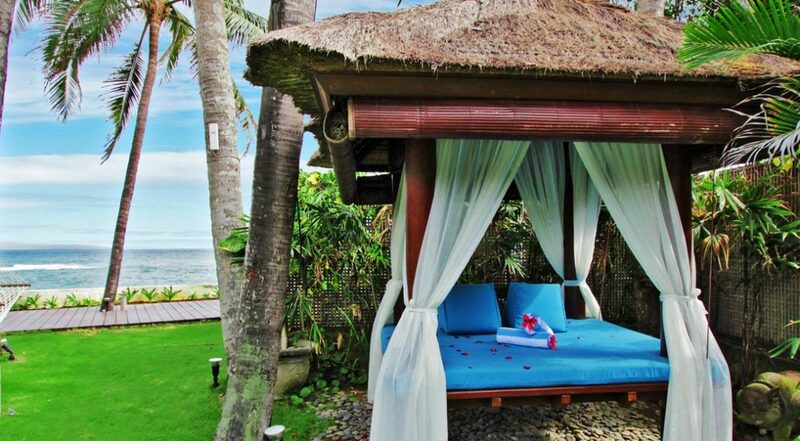 If you look up look up the meaning of tropical paradise anywhere it should give the answer, Villa Samudra. The expansive beachfront garden stretches all the way to the sand where a huge beach frontage is spotted with swaying coconut palms, a timber sundeck with sun lounges where you can tan above the black glistening sands. Closer to the main pavilion a huge lap pool is the ideal place to cool after enough sun, maybe a few laps or just a relaxing paddle. Guests can relax in the hammock or the shade of the gazebo and the lawns are ultra lush and perfectly manicured, the kids will love running and playing games all day long and its perfect for garden barbecues and cocktail parties. Built over two storey’s, the living areas are open-plan combining the living and dining areas in one, where you can open the large doors for an alfresco vibe, or relax in the air-con. Featuring polished timber floors, lovely artworks, a fantastic media centre including a 43-inch flat-screen TV, a DVD-player and international channels to watch all your favorite shows, the space is ultra comfortable. Dinners can be enjoyed inside at the dining table or outside in the beach-front garden at the dining gazebo. The master suite features a king size bed, private terrace, LCD TV, working desk, wi-fi, built in robes with complimentary slippers a safety deposit box and a wonderful soaking tub in the en-suite. The two guest suites are also air-conditioned, one with king size and the other with twin beds, both feature private en-suites. 24 hour butler service and also and 24 hour security service, to give you peace of mind. There is a private chef on hand, daily cleaning services along with extra services including spa treatments, yoga classes and cooking classes, baby sitting and day tours. 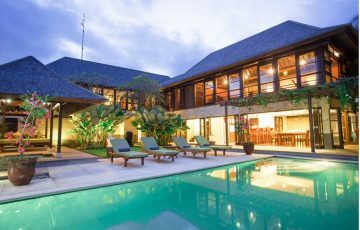 The villa is located right on the beach at Ketewel just 15 mins drive from the popular tourist town of Sanur where you can find a full selection of beach front restaurants, cafes, supermarkets, ATM’s and handicraft/souvenir shops. Guests can travel a short distance to Ubud to explore great museums and cultural sites, maybe some ribs at Naughty Nuris or crispy duck at Bebek Bugil. 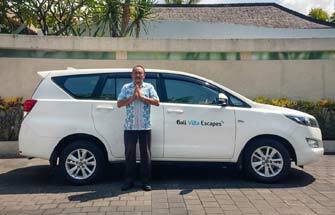 The Bali Safari & Marine Park and Bali Bird Park is nearby for the kids along with white water rafting and Keramas Beach Club for fantastic surf, dining and swimming in the huge pool. 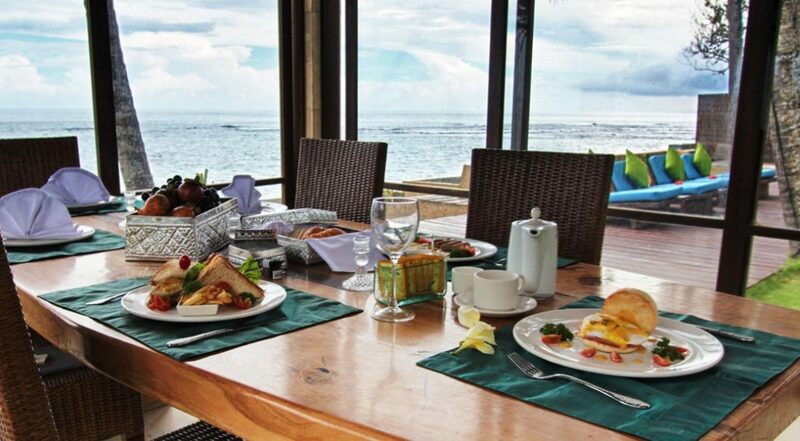 Sanur itself has so many great places to take the whole family for a meal and great cafes. Make your way to the main street in Sanur; Jalan Tamblingan and simply walk around. You will be spoiled for choice! 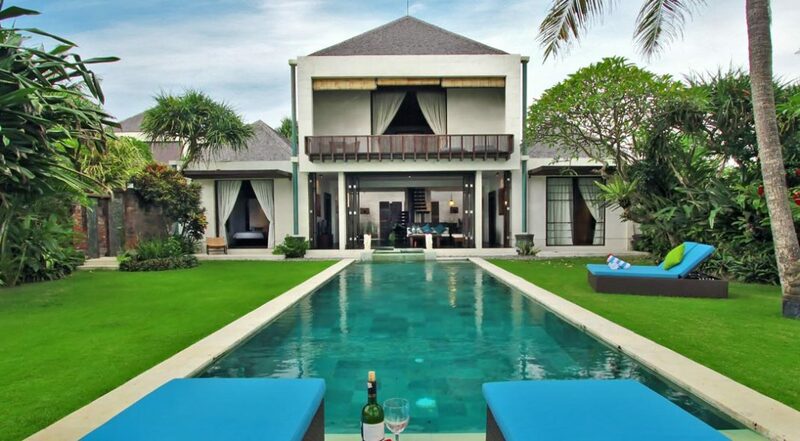 To views our full range of Bali villas by the beach or other 3 bedroom villas in Sanur please browse this website or contact our reservation team. 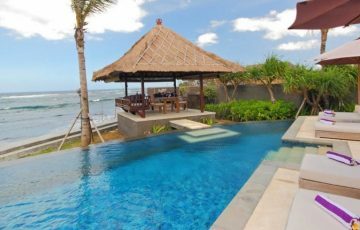 This is a popular Sanur villa so if your planning a trip to Bali, especially during the Australian school or public holidays please book Villa Samudra well in advance. The Villa has a full team of staff to look after you while staying at the villa; cooks, cleaners, pool cleaners, gardeners, housekeepers and a villa manager who will be responsible for making sure everything you could possibly want is taken care of. From dinner reservations through to organising tours, nothing is too much trouble. Having just spent 8 days at this what could only be described as magical villa with our family of 6, we feel relaxed and so happy that we were fortunate enough to stay here. 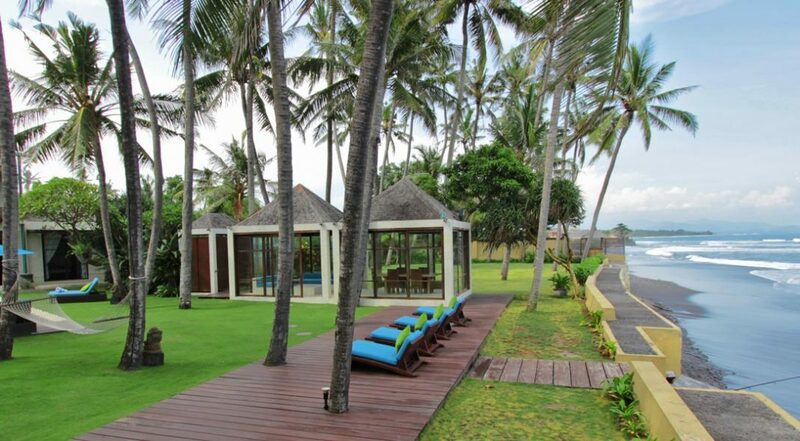 We much prefer the Sanur area because of it's quiet location. On top of that, this villa had a beach front aspect which was divine. The kids loved the pool and we were happy to laze around and be part of this gorgeous place. Staff, facilities and ambiance were world class. This is one family holiday we will remember fondly. So sad to leave.....but we know we will be back. The location was amazing and we spent all out time by the pool being served by the most hospitable team of villa staff. Everything was perfect; from the airport pick up right through to the warm greeting to the fabulous breakfasts and meals. What a great experience! You really have to try this out. Our family recommends it and gives it a 10 out of 10. 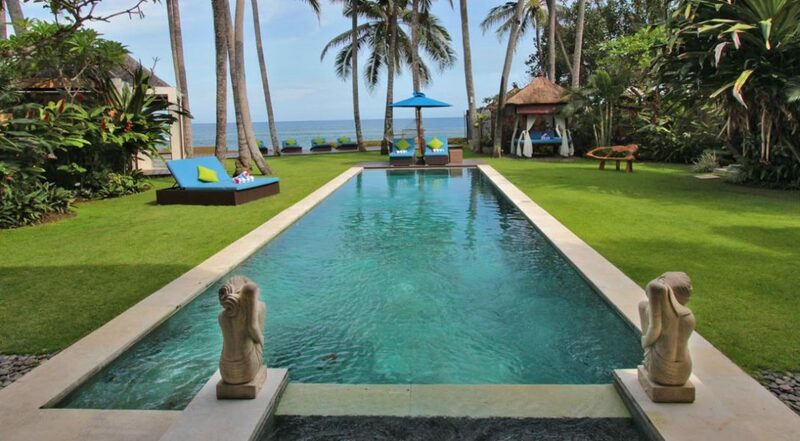 We are regulars to Bali from Singapore and will be renting this villa again. 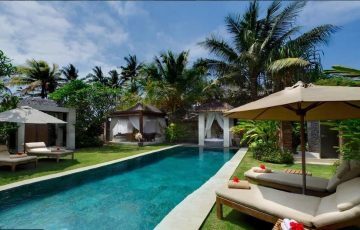 If peace, privacy and a gorgeous beach location are part of your holiday villa check list then Villa Samudra is definitely worth looking at. It is seriously fabulous. Do not miss your chance to stay here. It will be the best holiday of your life. Dhiah has been an amazing contact at BVE. Efficient and totally professional, answering all of my question and catering to the needs of the family. Finding the perfect villa for us mob to rest and play in. Thank you so much Dhiah!!! Five stars⭐️⭐️⭐️⭐️⭐️"